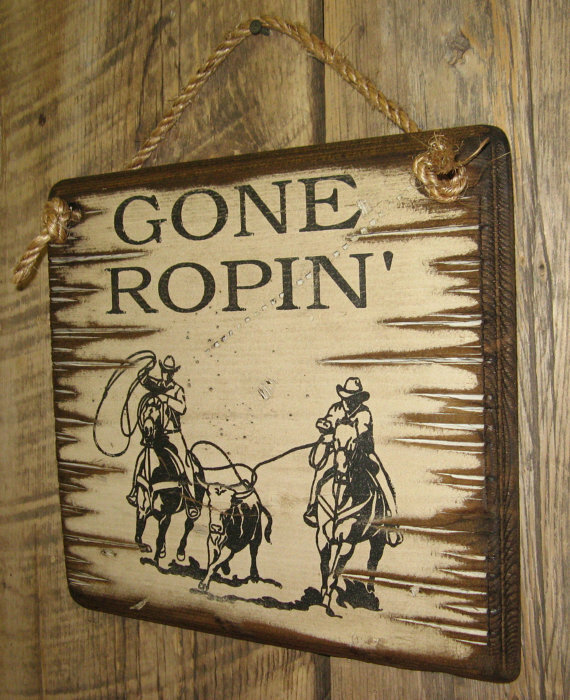 Gone Ropin’! 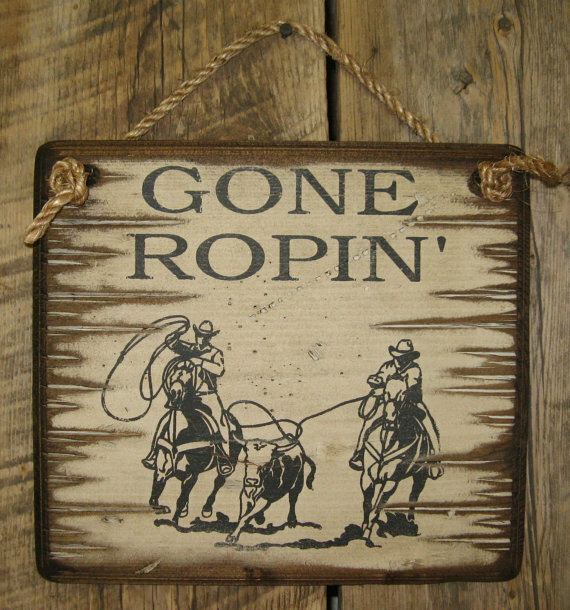 We have sold a lot of these signs because if you are a team roper, you are always wishing that you were “gone ropin’!” This sign measures 12×12, has a white background and comes with the grass rope hanger for easy hanging. 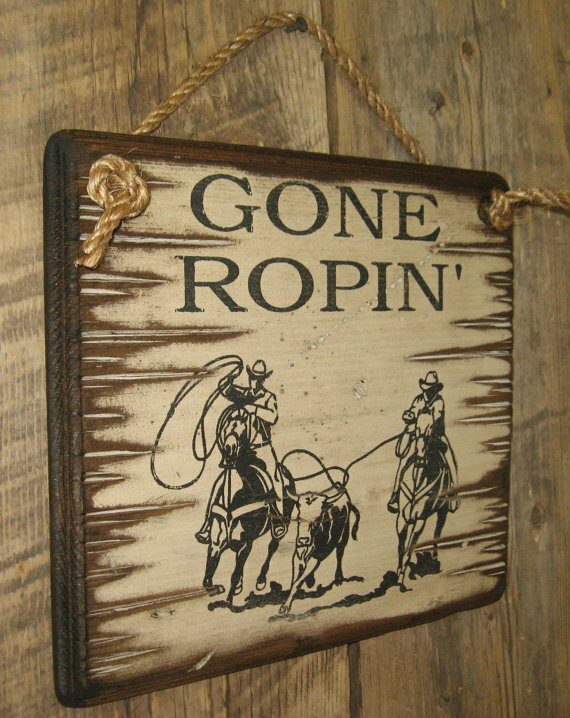 Handcrafted with pride!